Friday, January 18, 2019 at 8 P.M.
After more than four decades together, 38 SPECIAL continue to bring their signature blast of Southern Rock to over 100 cities a year. And at each and every show, thousands of audience members are amazed by the explosive power of the band's performance. With sales in excess of 20 million, most associate the band with their arena-rock pop smashes, “Hold On Loosely,” “Rockin’ Into the Night,” “Caught Up in You,” “Fantasy Girl,” “If I’d Been the One,” “Back Where You Belong,” “Chain Lightnin’,” “Second Chance,” and more – Timeless hits that remain a staple at radio, immediately recognizable from the first opening chord, and paving the way to their present-day touring regimen. It is that steely determination that lives on in the hearts of these ‘Wild-Eyed Southern Boys'. Completing the team is guitarist/vocalist DANNY CHAUNCEY, bassist BARRY DUNAWAY, drummer GARY MOFFATT and keyboardist/vocalist BOBBY CAPPS. 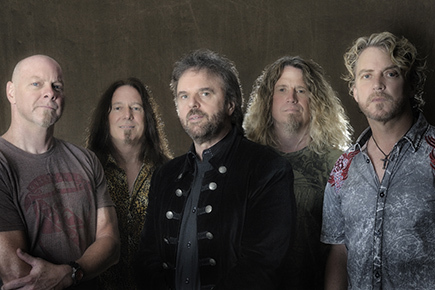 For 38 Special onstage, it is a celebration of camaraderie and brotherhood, a precision unit bringing the dedication and honesty to a long history of classic songs, as well as surprisingly fresh new material. “When those lights go down and we all walk up those steps to the stage and hear that crowd roar, it’s a real rush to the head. It feels like we're getting ready to strap ourselves in and it just takes off from there." Tickets are $50 and $55 plus tax and an online/phone ticketing fee (this fee is waived when tickets are purchased at the Gift Shop). Tickets in the ADA section are for patrons with mobility disabilities. Doors open at 7 P.M. for the 8 P.M. show.